Comedic web series focused on cannabis! 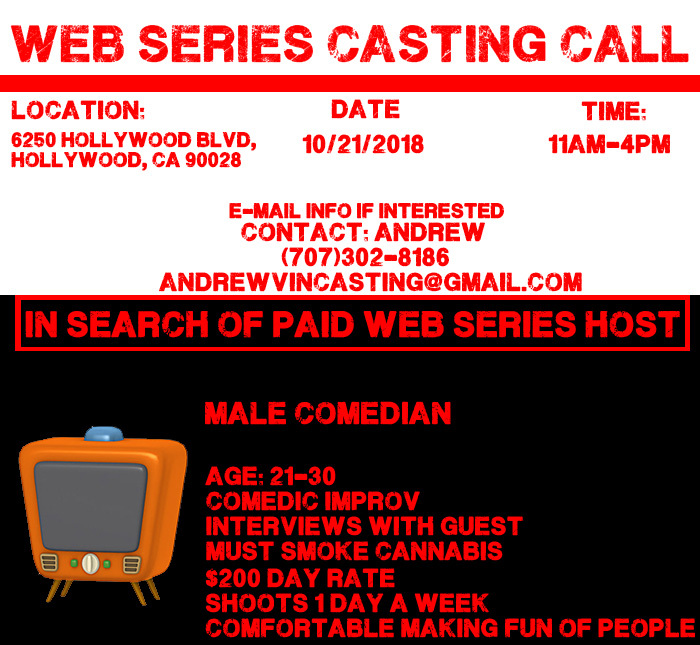 Casting comedians for new cannabis based web series shooting in Los Angeles! – Not scared to touch any topic. PLEASE EMAIL ANDREWVINCASTING@GMAIL.COM FOR YOUR TIME SLOT CONFORMATION. MUST HAVE CONFORMATION TO CAST.